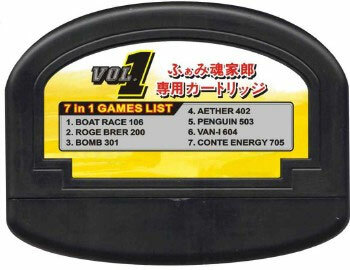 Seven in one cart which features original titles including Boat Race, Mario Bros clone Roge Brer, Chack n Pop tribute Bomb, Warp Man look a like Aether, Penguin (which is like Nuts & Milk), Twinbee wanabee Van-1 and Conte Energy which is reminiscent of Lode Runner. So whilst we say original the games are not pirated, but are certainly based on existing ideas. Good value little pack. Brand new. 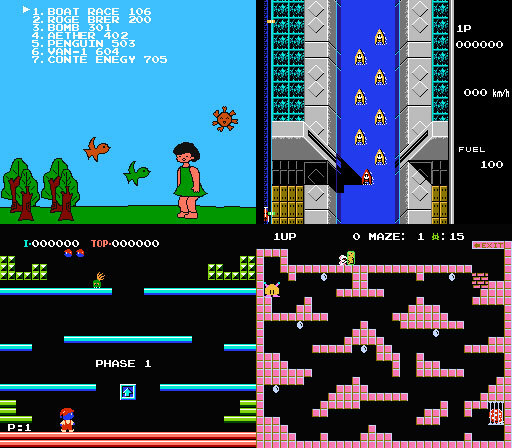 Please note: these games are built into the Famicom Yarou Volume One console. 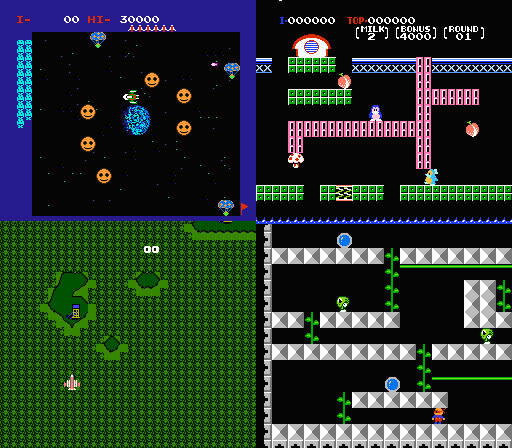 It will only run on a Famicom Yarou. Slight box wear.